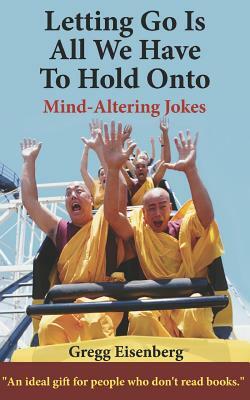 Letting Go Is All We Have to Hold Onto is an adventure into paradox, semantics, and humor. Like Zen Koans, The Eisenberg Principles play on contradictions in the language and logic and provide momentary relief from normal cognitive processes. They will transport you if you are willing, from the "comforts of cliche" to the "chasms of contradiction," hopefully dissolving a few habitual ways of thinking along the way. And, if you dare, breaking the tiniest bit of ground for new language.